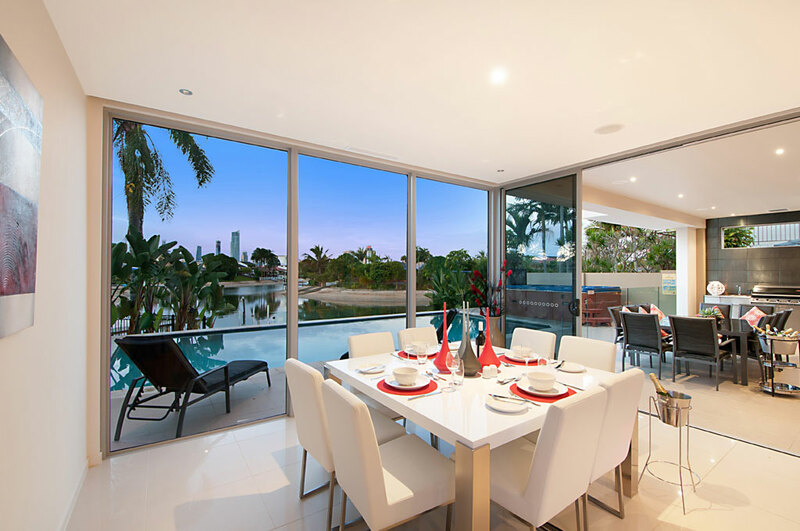 Opulence on Broadbeach is a wonderful spot for any Gold Coast holiday. It’s newly built, with a spacious design and all the luxuries of modern technology and furnishings to create the ultimate holiday home. Opulence has 7 bedrooms, sleeping a total of 14 people. 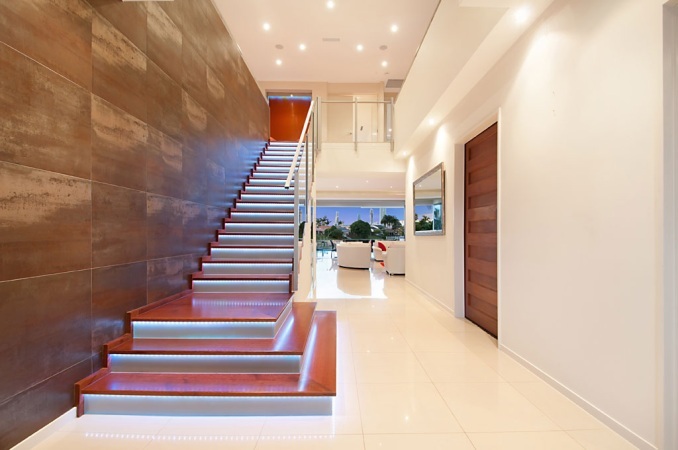 It’s just a 10 minute walk to Broadbeach or a 5 minute drive to the heart of Surfers Paradise. 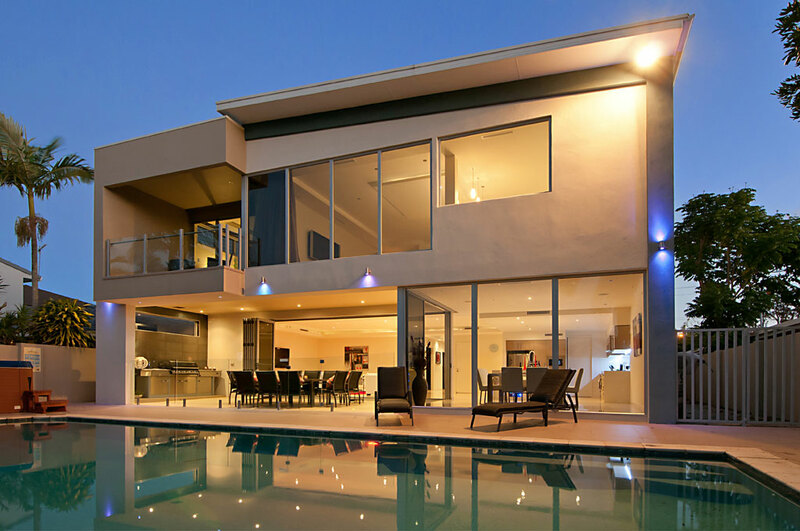 Opulence has a swimming pool, spa, air conditioning and free foxtel – and then all the facilities to make it as convenient as home, including DVD player, iPod dock, washing machine, dryer, ironing facilities, BBQ and a full kitchen with all the appliances and utensils you need. 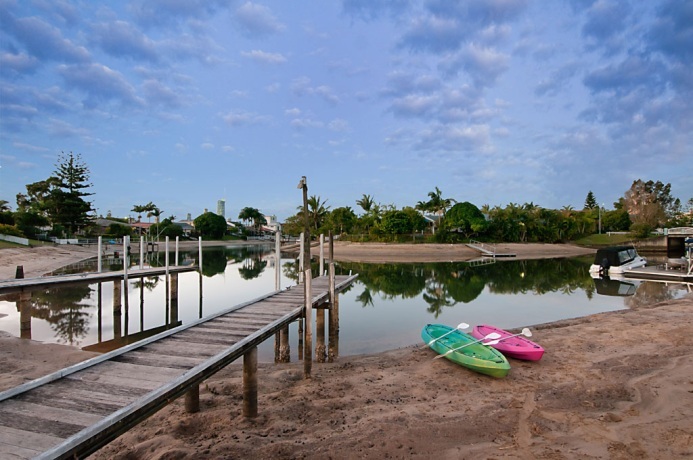 And it’s even on the waterfront, with your own sandy beach! To book your stay, call us on 07 5592 3881.